﻿ Fleming's Selection Hotel Wien-City, Vienna | FROM $119 - SAVE ON AGODA! "Very good location, just 10 mins walk from Museum Quarter." 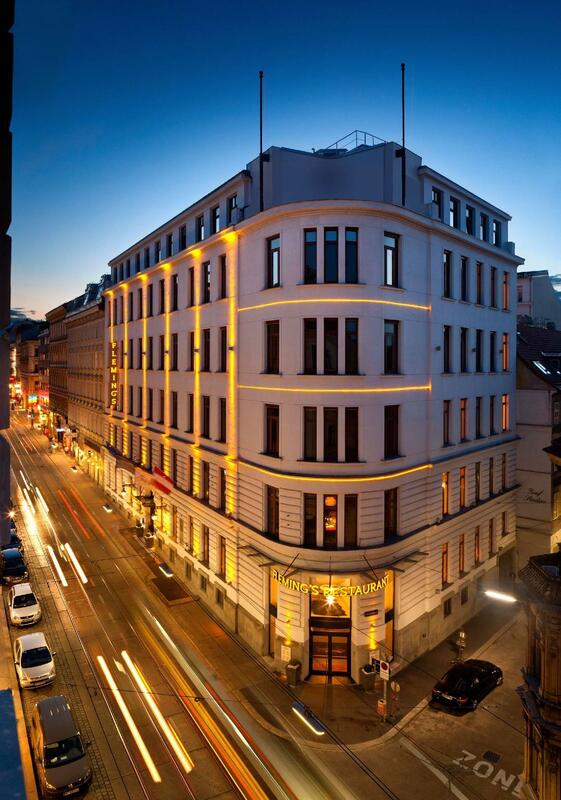 Have a question for Fleming's Selection Hotel Wien-City? "High ceiling and nice separate toilet." "Fitness suite was nice to relax in and all staff members were very friendly, polite and helpful." "Would definitely recommend for a city break." "The staff were very helpful." Fleming's Deluxe Hotel Wien City, located in 08. Josefstadt, Vienna, is a popular choice for travelers. Only 21 km away, this 4-star hotel can be easily accessed from the airport. With its convenient location, the hotel offers easy access to the city's must-see destinations. 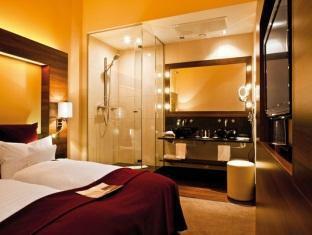 At Fleming's Deluxe Hotel Wien City, the excellent service and superior facilities make for an unforgettable stay. To name a few of the hotel's facilities, there are free Wi-Fi in all rooms, 24-hour front desk, facilities for disabled guests, luggage storage, Wi-Fi in public areas. Fleming's Deluxe Hotel Wien City is home to 207 bedrooms. All are tastefully furnished and many even provide such comforts as television LCD/plasma screen, mirror, internet access – wireless, internet access – wireless (complimentary), non smoking rooms. Throughout the day you can enjoy the relaxing atmosphere of the fitness center, sauna. Fleming's Deluxe Hotel Wien City is an ideal place of stay for travelers seeking charm, comfort and convenience in Vienna. "Fleming's Selection Hotel is very close to the central ring..."
Very good location, just 10 mins walk from Museum Quarter. Room was comfortable, we were in an internal-facing location so zero noise from traffic (or any other rooms). Breakfast was good, although could perhaps have benefited from some more salad type items. Fitness suite was nice to relax in and all staff members were very friendly, polite and helpful. Would definitely recommend for a city break. This hotel is well located and good value. The rooms are large and comfortable. The only negative was housekeeping- very poor and little attention to detail like not refilling shower and soap gel containers or replenishing bottles of toiletries on a daily basis. The shower in the middle of the room is awkward. Probably it was initiated like this because the space in the room would be to small for a proper bathroom. At least you would comfort quite a few people with plastic non-transparant self-adhesives. The room was spacious and very comfortable. Great location too! 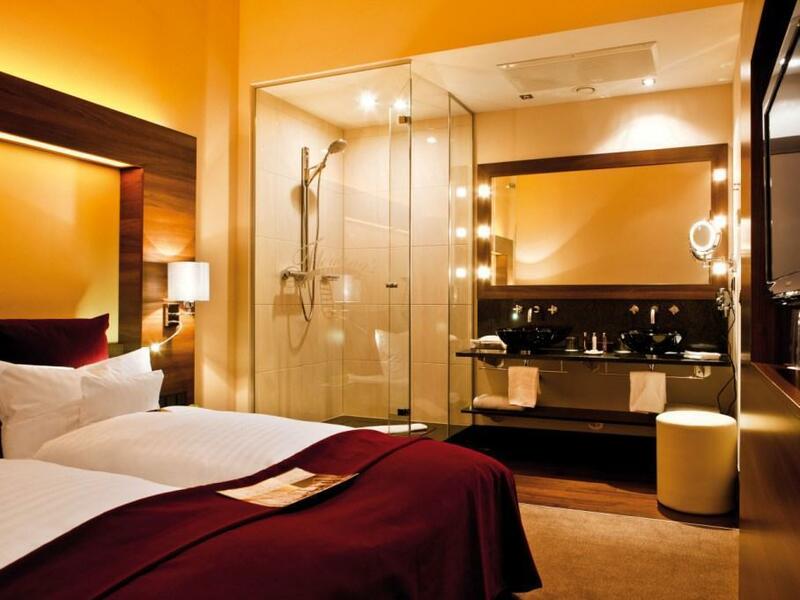 Fleming's Selection Hotel is very close to the central ring road and the rooms are very nice. The staff were very helpful. Highly recommended. I highly recommend this hotel as I spent the most amazing time there. The reception were welcoming. The breakfast was up to the expectetions. The location is very close from the sightseeings and the center as well. All the hotel services were great!! & very clean!! We stayed at Flemmings during our visit to the Christmas Markets in Vienna. The hotel was in a perfect location, walking distance to all of the 7 markets we visited. The room was very spacious with an extremely comfortable bed. All in all very happy with this hotel and would definitely stay here again. Terrible. Pros: Location, right outside the no.2 Tram stop that took you down town and next to the Rathaus U line station. Cons: Staff were very unfriendly. Room had 2-3 huge stains on the carpet, where the pattern had been lifted. Bed rock hard (like sleeping on the floor), pillows completely opposite (too soft, no substance). Bed sheets not changed in 4 days. WiFi was terrible. Was like staying in a 1-2 star hotel. breakfast was really good, they even have dimsom (Chinese food)for breakfast.